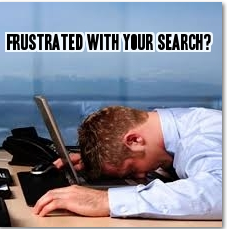 Searching for a Reputable Residential and Commercial Professional Window Film Installer Doesn’t Have to be Frustrating! Referrals – a majority of our business comes directly from referrals. Why is this the best way to find someone? Because the person referring has worked with the company, knows of their professionalism, and enjoys the quality product they received. Professional Residential and Commercial Window Film Installers are found easily – just ask around. Manufacturer website – a professional window film installer will be listed on the manufacturer’s website. Licensed, bonded, and insured? Why? Because these companies took the extra step to make sure they were professional AND in AZ any job over $1,000 REQUIRES the company to be licensed, bonded, and insured. Check out AZ ROC to find a reputable company. Too good to be true? Many companies offer specials and discounts, which is great. We always offer a 10% discount to Veterans and other monthly discounts. However, professional window film companies will NOT charge you an “unbelievable price” (think $99 for your whole car tinted or buy 2 windows and get 2 windows free in your home/business). Many of these companies do not actually use the product they are selling you (you can call the manufacturer to verify), and a decent architectural window film that will last you the lifetime of your glass does not make “cheap” products. Call a few! When purchasing a product for your home and you haven’t received a referral or just want more bids, that is great! 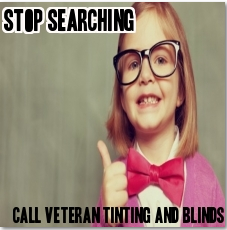 You can easily find out who has been in the industry for a long time because they are not selling window film — they are educating you on the benefits AND they understand what is safe and unsafe for your windows. Go with your gut! We have won bids in which we have been a bit higher because the customer genuinely liked us? Why? We are honest, ethical, and not pushy. We educate our customers on the benefits of the window film and encourage them to purchase what is best for THEIR needs, not our pocketbook. Contact us today for a free onsite estimate, from a reputable and professional window film company!